Build-a-Wheelchair® is a corporate social responsibility program born out of a desire to help American veterans and others with various mobility challenges. In this fun and worthwhile program, groups use teamwork skills and iPads® activities to earn the materials necessary to assemble, test and decorate these new wheelchairs for donation. A fun and engaging energizer, followed by a thorough program walkthrough by the lead facilitator, will kick off this impactful event. After your teams have built their wheelchairs, they will proceed to the safety station for a mechanical inspection. Once completed, artistic notes of encouragement are designed and attached. If space allows teams will then engage in an obstacle course maneuverability challenge against other teams. The wheelchairs will then be staged with your teams for a memorable photo shoot. When possible, a representative from the chosen charity will now make a surprise appearance, sharing information about their organization and the impact your donation will have on the recipients. The focal point of this CSR event is to benefit the countless people who, with your generous donation, will be gifted with these beautiful, brand new wheelchairs. Build-a-Wheelchair® is a registered trademark of Best Corporate Events. It's been a while since I first contacted your sales department to ask about what we might work on together… phew! We’ve covered a lot of ground since then with 4 big programs in 3 countries building a total of over 800 wheelchairs! A BIG thank you for everything that we managed to achieve. 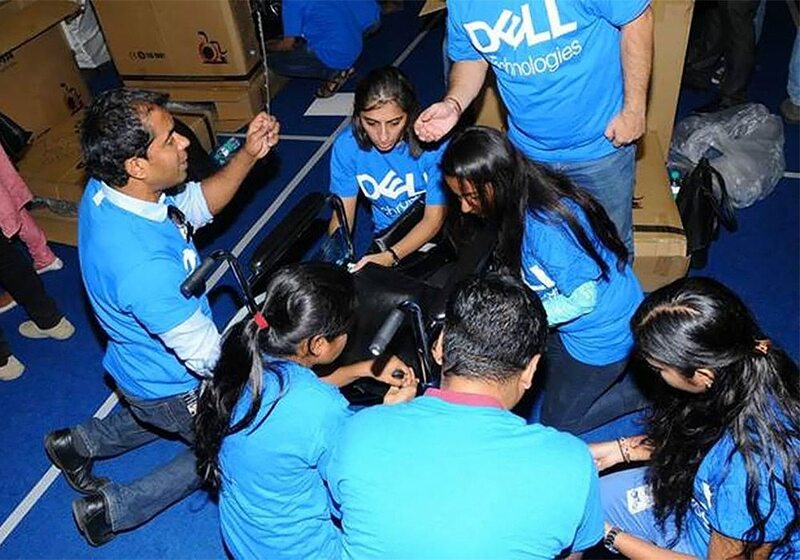 Your Build-a-Wheelchair event was a HUGE hit for us at Dell. Thank you very much for suggesting the Institute on Aging for the lovely much-needed donation from the Build-a-Wheelchair program you delivered for Facebook®. You are an awesome team! It was such a pleasure to meet you and your teammates. The majority of our clients are low income, so a wheelchair is a huge expense. We transition seniors who are in skilled nursing facilities and hospitals back into the community. We find them housing and work with them to help them be successful in living independently again. These wheelchairs will truly make an impact in the lives of seniors in our community. Thank you once again, it was truly a pleasure to work with you on this. Build-a-wheelchair for veterans was a great cause. The program was fun and encouraged thinking outside the box. I liked being able to move throughout the iPad challenges without having to do everything in order. Allowing the groups to loosen up and not be so straightforward was a good team building experience. Taking pictures in different themes made it fun. A special thank you to your staff for the great job they did keeping the event going, no one was bored. It will be an event we will definitely do again. And, I will definitely pass along the name of Best Corporate Events. In my 12 years of managing engineers I have never had such wonderful feedback from my team for a team building exercise. The group thoroughly enjoyed the session, all felt that our ability to give back to the local community created a session that not only created an amazing team environment but allow them to focus on something other than themselves. Our lead facilitator hit it out of the park and did such an amazing job with our team building event. It totally exceeded our expectations and was so much fun. I’ve never seen our guys hoot, holler and laugh as much as they did during the competition! Thank you so much for your help in making our event such a success. You’ll be hearing from us again! Your staff was amazing and very energetic. My team had a wonderful time and thoroughly enjoyed the tasks they were assigned in order to create the wheelchair and especially the course they had to run at the end. Being able to look at the videos and pictures that my teams took while doing the assignments was a blast and very helpful in keeping memories to share afterwards. They really liked that some members from the organization in which we donated the wheelchairs to were able to come and talk to us to let us know a little more of where the wheel chairs were going to. On behalf of the management team and employees at Netformx, want to thank your entire team for a wonderful experience. Your facilitators did an outstanding job orchestrating all of the activities. 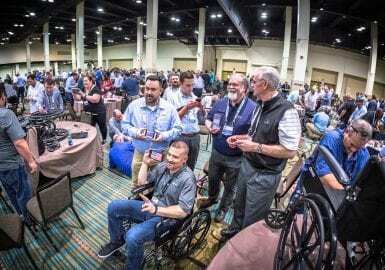 There was much laughter, competitiveness and energy that was skillfully channeled toward a worthwhile outcome … the assemblage of badly needed wheelchairs for our service men and women. Thank you again so much for a truly memorable afternoon! Thanks so much for the fantastic team building event you delivered at the 2014 ADMEI Conference in Washington, DC. Your program, Build a Wheelchair received a 4.7 out of 5.0! Comments included “This was great!” and “The lead facilitator did a great job of warming us up with some fun icebreakers” and “The team-building event was a great experience for a good cause. Our Build-a-Wheelchair team building event was a huge success with our company. Everyone loved it – we had a great time! THANK YOU! Your lead was a great facilitator!! I would like to say that our Build-a-Wheelchair event was an absolute knock out!! Your lead facilitator and his team were outstanding – they kept the entire group involved and made it so much fun. I would highly recommend Best Corporate Events for any event. It was one of the best team building events we have ever participated in. Everyone had a great time and felt so proud in honoring our veterans. Awesome job – well done!! Awesome Build-a-Wheelchair program! Your lead facilitator and her team were remarkable. Everyone was commenting on what a great job your staff did. You all are so professional and everyone had a great time. We all really enjoyed the team building exercise and can't wait to do it again. Thank you very much. The Build-a-Wheelchair event was a huge success and an excellent start to our week in Orlando. Your lead facilitator and his team led the session with great enthusiasm and passion, driving engagement from the start. Additionally, the icebreakers facilitated communication amongst all of us. While we are all familiar with one another, those activities along with the random group selections ensured that we interacted with many new people (or people we may not know as well) while building the wheelchairs. I don’t think I have any recommendations for improving the session – the entire activity was timed to perfection and the leadership team was terrific. I can’t thank you and the BCE team enough for starting our Orlando trip off on such a great foot! The Build-a-Wheelchair program you delivered with iPads for our staff at Icon International was fantastic! Our Build-a-Wheelchair event was a huge success! Your lead facilitator was excellent and everyone had a GREAT time! It was so nice to be able to get together & have some fun while benefitting a good cause at the same time. It was actually our first teambuilding event and I didn’t know what to expect but after all the positive comments I received about it, I’m sure there will be many more in our future and I would certainly use Best Corporate Events again! Thanks so much! Exciting, fun and engaging. One of the best team building events we’ve ever done. It really got everyone involved right from the start. What a great way to give back to those who gave so much for us and our country. It’s one that we won’t soon forget! I also want to say that your lead facilitator was a master at getting the group involved and engaged from the minute he said hello! Wow!! Where do I begin!! The Build-a-Wheelchair experience was FANTASTIC!! Everything was well organized and ran smoothly. The energy that your staff provided was uplifting and contributed significantly to the atmosphere. I did not see any areas of improvement. My entire experience was more than perfect. Everybody involved was friendly, helpful and responsive to questions or concerns. This was our first experience with this type of event and I have received nothing but positive feedback from the employees. Keep up the GREAT work!!! Looking forward to another event in 2016. Thank you. This was a great teambuilding event. I got to meet different people in different functions within Ethicon. We also got to build wheelchairs for the wounded soldiers and test driving them to see how they worked. I’m looking forward to meeting the recipients and thanking them for honoring us with their service. We had a great time at our Build-a-Wheelchair event! Your lead facilitator kept the group engaged and their energy levels high. The highlight of the event was hearing from the representative of the Disabled American Veterans organization. It was so impactful to hear directly from the organization that would benefit from our wheelchairs. Thanks! 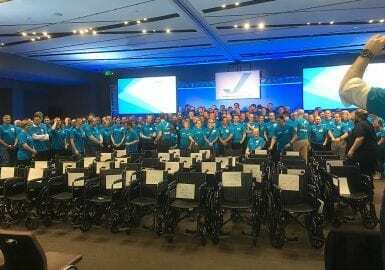 Marielle, DaVita HealthCare Partners, Inc.
Best Corporate Events did a great job with our Build-A-Wheelchair event for our National Sales Meeting. The facilitator was awesome and super involved on-site. We had local veterans show up to accept the wheelchairs and everyone in our team left feeling very inspired. 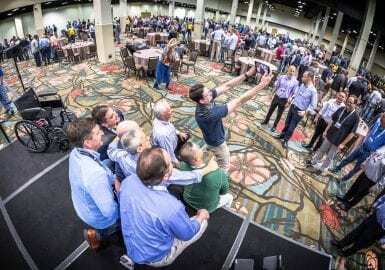 All feedback from the NSM mentioned how awesome the experience was and we even got a shout-out from the CEO of Henry Schein for our commitment to charitable events. I can’t think of anything we’d do differently, but I definitely will turn to BCE for similar events in the future. Thank you for the wonderful Build-a-Wheelchair event you just delivered to our team. It was the highlight of our meeting and a great time was had by all. The vibe throughout the entire event was amazing. I can’t thank you enough! We will certainly be booking with you again! 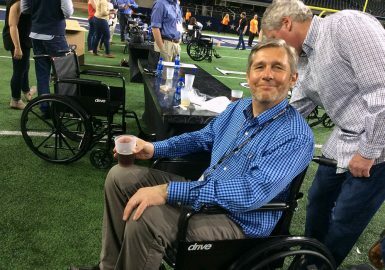 Regarding my client’s Scavenger Hunt and Build-a-Wheelchair program, you were all extremity easy to work with and understand the unique nature of corporate team building. I felt that I had a true partner from the start. Our Build-a-Wheelchair event in Bangalore, India turned out to be a high-energy event dedicated to such a wonderful cause. Thanks for running the show. You guys made it look simple. It was plain joy and a pleasure meeting your lead facilitators to learn about each other’s culture. We had over 750 participants build 209 wheelchairs in 75 minutes! Thanks everyone for your support and helping put together the first giving back initiative for the combined Dell technologies team. Cheers! They LOVED their Build-a-Wheelchair program! The energy of your San Francisco team and their lead facilitator was fantastic! The trivia questions on the iPad seemed to be a huge hit and made our groups rather competitive with each other. It was very well run and worry free for me. OMG – the event was fabulous – don’t be surprised if one of our others Markets contact you,. Everyone loved the event. The gentlemen from the Disabled American Veterans organization were very gracious and appreciated our efforts. Sorry for being panic stricken – but from the moment I spoke to our lead facilitator on the phone I felt everything was under control. He is a great host and got the crowd involved and pumped up from the start. I apologize for getting panicky. I am sure you will be hearing from us again in the near future. Thanks for all of your help and patience, you were wonderful. Ann, Benjamin Moore & Co. Your Build-a-Wheelchair team building program was great. Thank you so much for the opportunity to give back. It meant a lot to all the Destination Management Executives attending the ADMEI Conference and we had so much fun doing it as well! My group thought the Build-a-Wheelchair program was great! Your lead facilitator was a great leader, had a great personality, made it fun, kept people engaged, and was very organized. He kept all the groups progressing during the build sessions. The icebreakers were really fun too and our participants loved the finished wheelchairs. Our Build-aWheelchair event went off without a hitch. Your lead facilitator was amazing, and our team members had an absolute blast! They said it was the best corporate event (no pun intended) they’ve ever taken part in! How was our Build-a-Wheelchair event? Awesome! Everyone seemed to have a wonderful time interacting and the challenges were very creative. Your staff was suburb! I will be using your company again! The Build-a-Wheelchair program was engaging and fun. I would definitely recommend it for groups that are competitive in nature and have the desire to meet and interact with their peers. It was not only fun and challenging but it also had a higher purpose...to give others a better life. It really makes a great impression. Your company was very responsive to our questions about the event. Our Build-a-Wheelchair program was extremely well organized and your lead facilitator was awesome. He really knew how to engage the team and have fun with them too. Working together to build the wheelchair was a great team builder. Our group loved it. I have received a ton of positive feedback. The best part of our Build-a-Wheelchair program was working together as a team, whether a faculty member, staff member or a new student and learning how to collect the parts (metaphor for collecting data for our program). It was fun spirited competitiveness and very organized. Our group enjoyed it very much and talked about it the whole rest of the afternoon. Everyone enjoyed this event as an action-packed, competitive and FUN event. 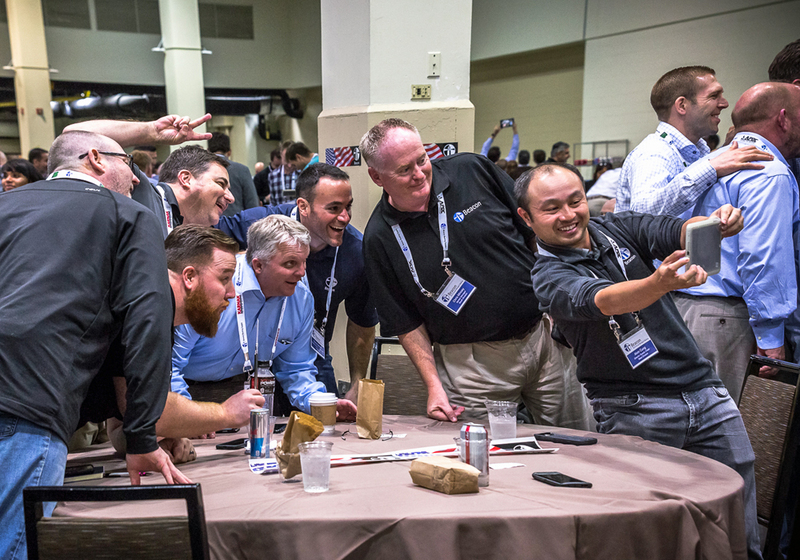 They enjoyed answering the questions to obtain the many items on the build-out list and the collaboration of our remote teams into one cohesive unit was great fun! We loved working with your lead facilitator and her staff went out of their way to make sure all details of the event went smoothly. The resulting donations of the wheelchairs to the Disabled American Veterans were the frosting on the cake. The whole event was great and everyone worked really well together answering the challenge questions. Completing with the other groups to get to see who could finish the wheelchairs first was fun. Everyone loved the activities and charitable aspect of the program. The entire Build-a-Wheelchair program was terrific and extremely organized; all of our HR folks had a great time! The most fun was at the very end, giving the wheelchairs to the Vets! My team had nothing but good things to say about the entire program! A big thank you to your lead facilitator - he was phenomenal -- great speaker, got everyone's attention when needed -- overall everyone had a blast! Thank you again for making everything great! Everyone loved coming together to work on the challenges in our Build-a-Wheelchair program. It was truly a great event, and having the representative receiving the items was a bonus. Thanks again for everything (and dealing with my nerves)! Your lead facilitator was absolutely terrific and delivered as promised and more! Lin, Bimbo Bakeries USA, Inc.
Our team loved the Build-a-Wheelchair event, as well as the charitable aspect. It's great to be a part of a program that has a bigger purpose. It was fun to see everyone doing your Entourage icebreaker, going from being an individual trying to win, to having the entire organization cheering for the last two people standing. I received so much positive feedback about this event. Thank you! The program started with some light, fun warm-up activities that easily broke down barriers and got everyone in a team-minded, competitive spirit. 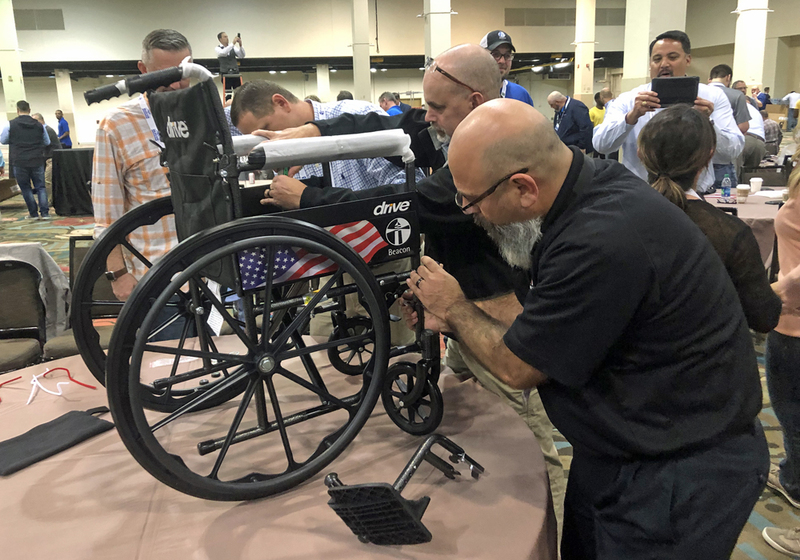 The actual building of the wheelchairs was a fun and fulfilling activity but the icing on the cake was the reaction from the local Washington, DC charitable organizations that were receiving the fully assembled chairs - truly touching and rewarding. Thanks for a great program! Our Build-a-Wheelchair program was very organized. Building wheelchairs was a great team building activity and the wheelchair races are really fun. Our group enjoyed the activities and the charitable aspects of the program. It was a fantastic experience. Build-a-Wheelchair was a great program and we'd do it again. Our group enjoyed it a lot – I received so much positive feedback. I liked the picture taking on iPads of the different activities and watching the group build the wheelchair was the most fun. Our group really enjoyed the charitable aspect and it was great having Natasha from Soldiers of Angels come to the program and accept our donation. Your lead did a great job of facilitating the event and getting our guys engaged from the beginning. We learned a lot about each other and were able to work together toward a common goal. The most fun was the icebreaker but the wheelchair races were a hoot as well. Our group loved the activities and the charitable aspect was an added bonus. We had fun, but also were able to reach out to others not as fortunate. We just completed an extremely organized Build-a-Wheelchair event. The best team building aspect of this program was the group collaboration needed to complete the iPad challenges. Coming up with creative ideas to fulfill the requests was the most fun. Our group loved being active, being competitive and mostly, giving back to the community. I thought the program was really well run. Your lead facilitator was great to work with and was flexible with our schedule as we were running a little behind. Having the connection made for us with a local charity was so, so helpful! The entire Build-a-Wheelchair program was executed extremely well. The relay race was really fun and our group enjoyed the activities and the charitable component of the program. It touched everyone and it meant a lot they were able to give back. This is second time using Best Corporate Events. Your team is amazing, professional and covers all needs. I can't thank your two lady leads enough on how well they explain the event concepts and pull everyone together. They're the Best! Excellent program! Extremely organized! Our entire Build-a-Wheelchair program was fun, but the challenges to acquiring parts to build the chair were really greatly enjoyed. Everyone raved about this event; it was excellent. Loved it. Our Build-a-Wheelchair event was very organized and our host did a phenomenal job for us!. The icebreakers and building of the wheelchairs were the best team building aspects of our program and the presentation of the wheelchairs at the end was fun. I wanted to properly thank you for the teambuilding Build A Wheelchair event last week in Phoenix! Having just reviewed the feedback surveys it ranked as one of the highest parts of the meeting and many folks commented on the relevance and meaningfulness of this event. 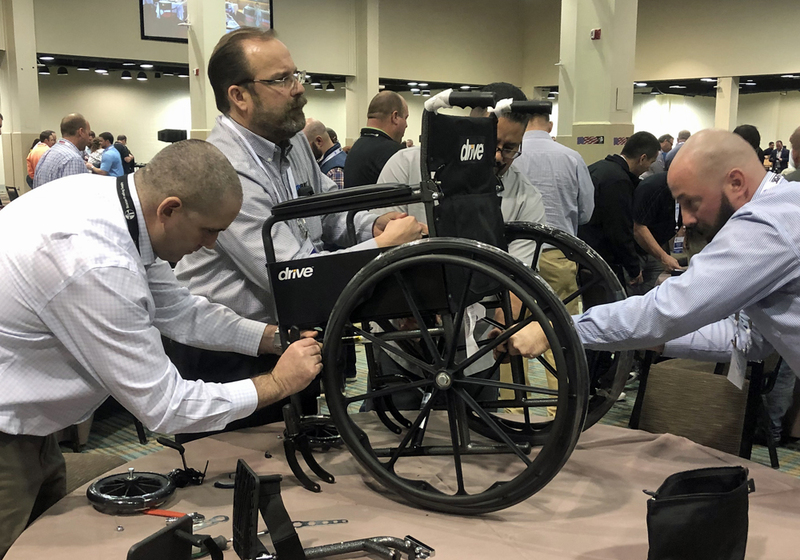 The activities and charitable aspect of the Build-a-Wheelchair program are what made it one of the best team building events our group said they have participated in. The kick-off competition early on was fun and hearing from the MDA about how they will be using the wheelchairs was great. Our company really liked doing something meaningful and being able to do it outdoors. So, thank you. Your lead facilitator was great! Only heard wonderful feedback from the client and attendees about their Build-a-Wheelchair event. The challenges on the iPads were great and very interactive and the overall competition was fun. It truly makes a difference when the receiving organization can be there to accept the donation. The group loved it! 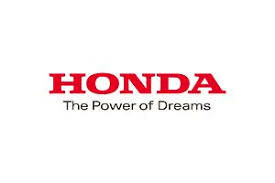 Best Corporate Events did a wonderful job at organizing the Build-a-Wheelchair event. Our clients thought the challenges on the iPads were a great team builder and the group as a whole enjoyed the activities and charitable aspect of the program. Your lead facilitator did a great job too. Thank you! I just wanted to say ‘thank you’ for the amazing experience you helped us create for our delegates that attended the 2018 North America Bloc Convention last week. We heard nothing but positive feedback about the Team Building event and your host! It seemed that everyone who participated was honored to be a part of this special experience to benefit others. Please know that the planning and preparation made for this event was key to its success. Your hard work and effort were deeply appreciated and it was a pleasure working with all of you. I want to thank all of you for helping us with such a successful event yesterday! Despite our last minute timing, everything ran perfectly. The wheelchairs arrived a day early, your lead facilitator was set up and ready before we were, the donation was executed flawlessly, but most importantly – everyone on our team had a great time! Your lead facilitator tapped into the extremely competitive nature of our group and dialed up the energy really high. His enthusiasm and leadership got and kept everyone completely engaged right from the start and was a major contribution to the overall success. Even though this was the first time our team used Best Corporate Events, we won’t hesitate to engage with you for future events and certainly will recommend that other groups at Adobe tap your portfolio of activities. 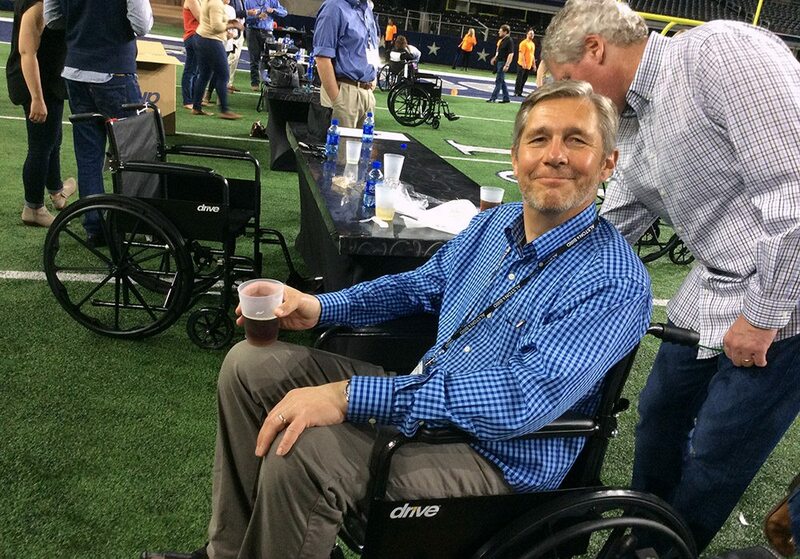 We found the one that suited our team well – right down to the wheelchair races at the end – and I’m sure others will as well. The best “team building” aspect of our Build-a-Wheelchair program was the interactive questions and tasks that needed to be done together on the iPads. The most fun was building and racing the wheelchairs. I would like to thank you for a great, smooth running event and experience. It really brought team members together and we received mostly great feedback. Your staff was very professional and I appreciate all you did. Thank you again for your help and your lead facilitator, who was great with our group as well. I wanted to extend an extremely heartfelt thank you to the Best Corporate Events team! Each team member we worked with was extremely committed to the highest quality experience for our 270-person wheelchair build. Your tireless efforts to create a meaningful and seamless giveback opportunity and team build event for our group was best in class! We heard nothing but positive feedback from those who participated, including “the wheelchair build made me feel very proud to be a part of Constellation.” Thank you for all your work to make the event a success! We had a group of both Sales and Account management and we loved that they were broken into groups so they didn't just work with people they were used to seeing on a daily basis. Honestly, I think the whole Build-a-Wheelchair program was fun, loved the ice breakers and seeing them all laughing and having a good time, enjoyed seeing them work as a team and loved the wheelchair races at the end! The feedback we received from the group was that they really liked this event, loved the part that we were doing something for the veterans and being able to be a part of that. Your lead facilitator and his assistant were great, very personable and high energy, just what we needed! Very happy our budget allowed us this opportunity and will look to do another in the near future! The 'warm-up' exercises conducted by our facilitator and the wheelchair assembly were so fun. The group loved it! Our facilitator had lots of energy, getting the folks moving and engaged; very focused on us while working with us. Everyone enjoyed the event; we liked that we had an outcome that supported others in the course of also doing team building. Pricing varies depending upon the number of participants (minimum of 30) and includes wheelchairs, the team building program, prep, production coordination and all materials, program design, a professional lead facilitator and staffing.